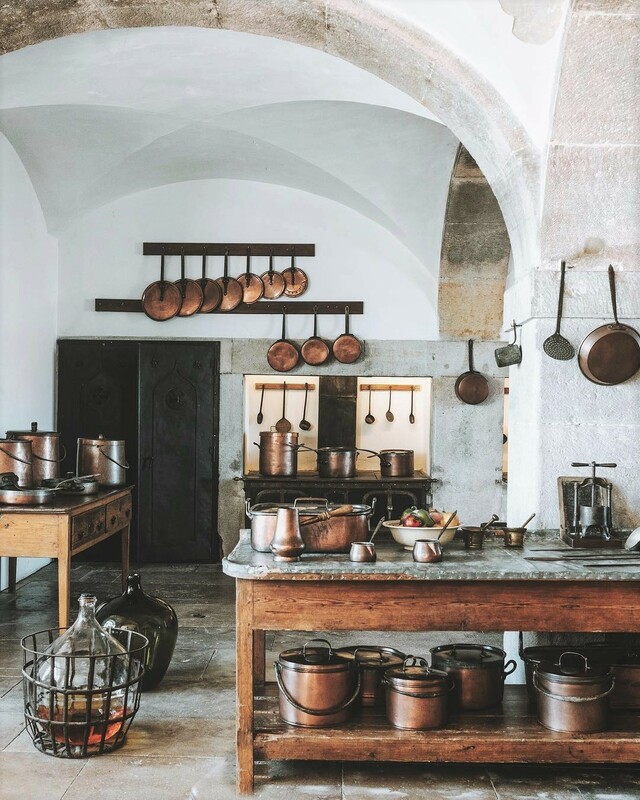 Just imagine the food prepared in this kitchen; bouillabaisses, paellas, soufflés and flaming crepe suzettes. This is a cook’s kitchen. Look at the beautiful copper pots and pans. Cooking isn’t my preferred pastime, but suddenly, all I want to do is put on a pinny and make a mushroom risotto.